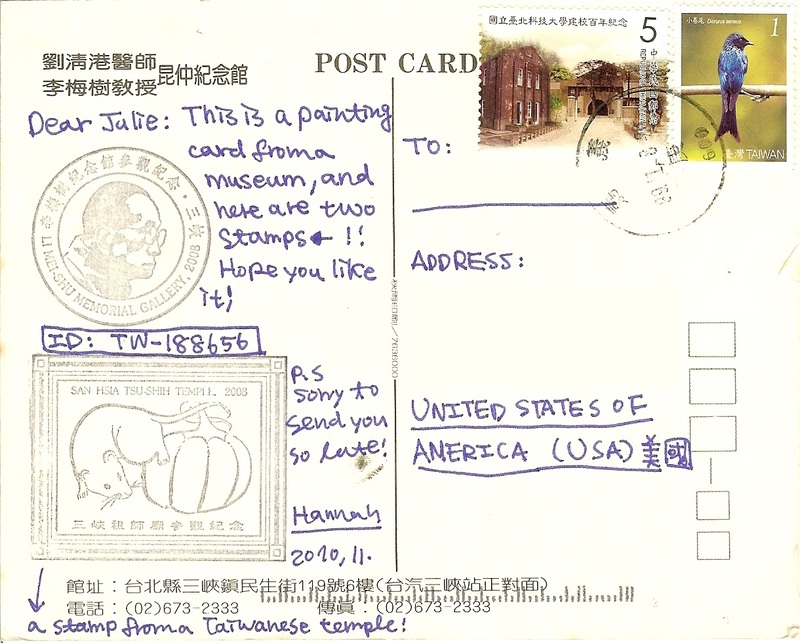 This postcard was received from Xander, who is six years old! (With a little assistance from Mom, I think!) 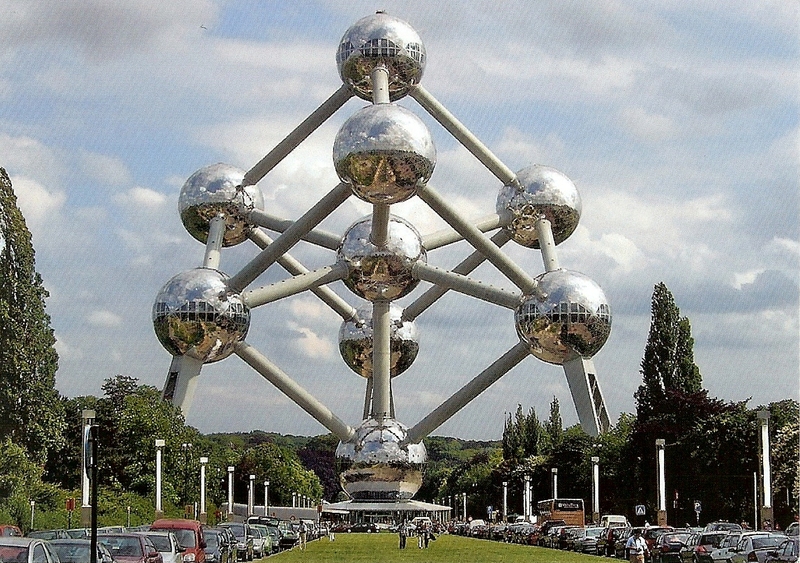 It is a picture of Atomium, which was built for the 1958 Brussels World Fair, in Belgium. This place has always intrigued me! I was so excited to receive this postcard from Mesut in Turkey. In Turkey, they say “Merhaba” for “Hello”. Here is a picture of Cappadocia! This place is said to have been occupied by the Hittites from 3000 – 2000 BC, and then much later by early Christians who were fleeing from the Romans! What an amazing history! From Esther, who is 23 and studies English Language, Literature, and Film. 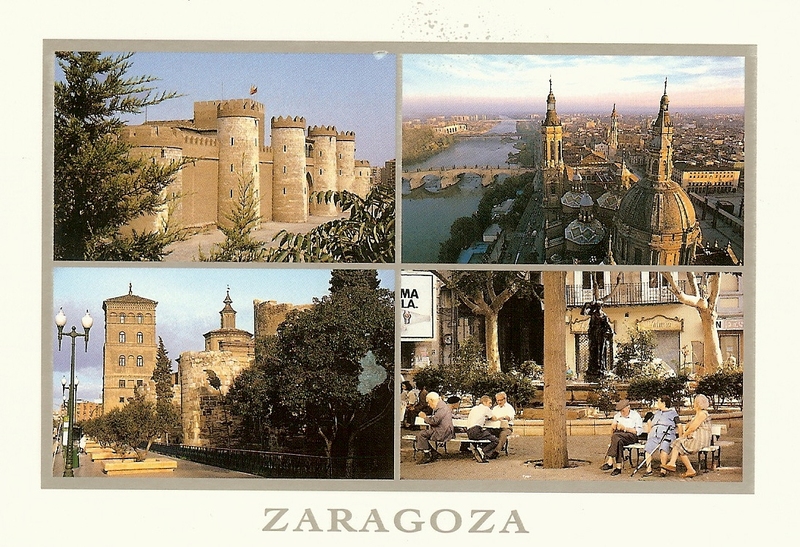 This cards shows a few cathedrals and castles from the historic city of Zaragoza! The four scenes shown are that of Aijaferia, Vista Aerea Del Pilar, Murallas Romanas, and the Plaza del la Justicia. Kirra sent me this card all the way from Darwin, Northern Territory, Australia! She recently visited there when she was on holiday. This Aboriginal Rock Art is known as Algaihgo, or Fire Woman. It can be found at Kakadu National Park. The Aboriginal art collection found at this park is one of the world’s greatest collections of rock art. The park encompasses over 20,000 square kilometers! Who doesn’t love the wooden shoe? Although, I’m pretty sure I would not enjoy wearing them! Barbara says “Hallo” from Holland. She has two goldfish and two big red crazy cats, both named Jansen! Did you know there is a Legend of the Wooden Shoe? 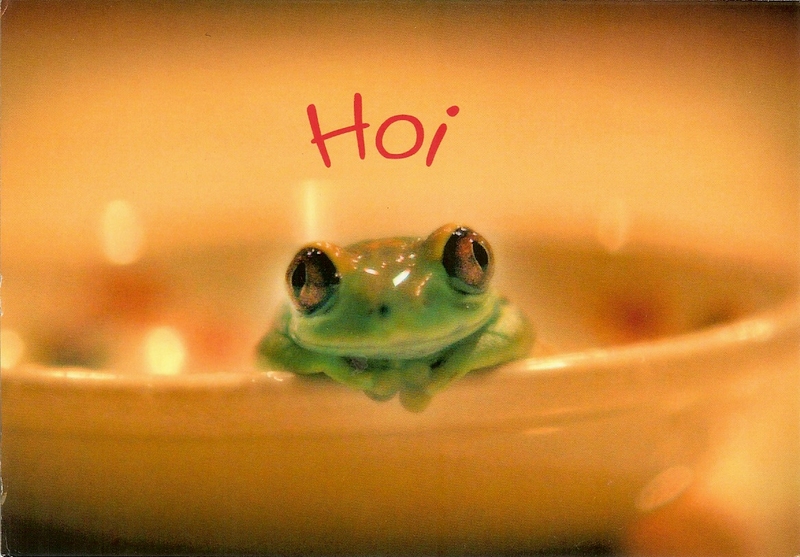 Veerle from The Netherlands says “Hoi” when she greets a friend. What’s not to love about this little guy? 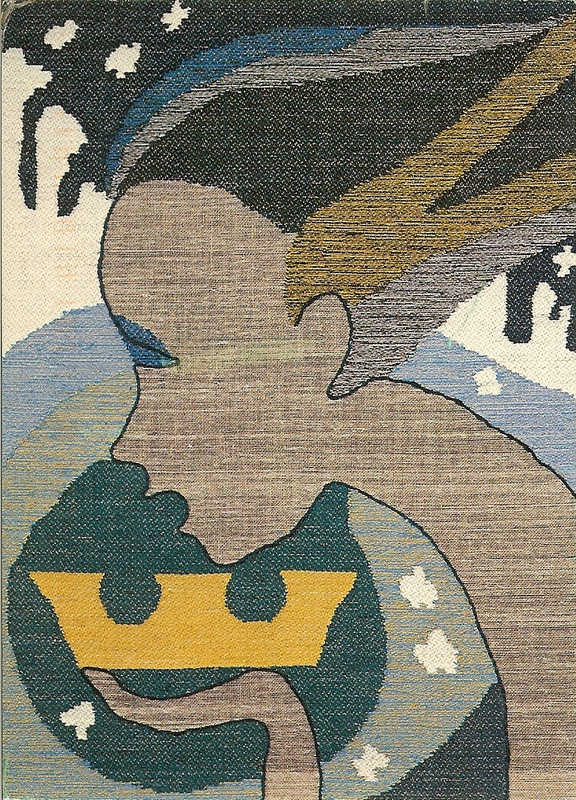 The back of the postcard can be more interesting than the front! Interesting stamps, messages, and handwriting make each card special. If you would like to participate in Postcrossing, click the button in my right margin to get more information. This is my first official post for the Where in the World? Wednesday meme. 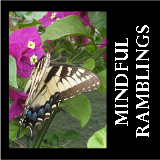 This meme originates at The Blessings Pour Out blog where they are participating in a postcard exchange with home educating families across The United States. So I thought this would be a wonderful opportunity to share some of the postcards I have received through Postcrossing and learn a little geography. We’ll begin in the beautiful country of…. Finland is a country of many lakes…over 187,000 of them! It is pretty flat, with the highest point only about 4,300 feet. 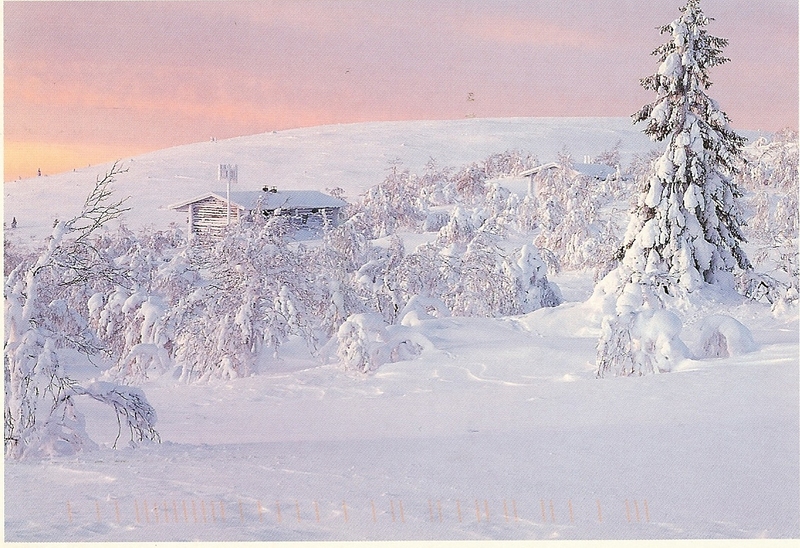 That’s up in Lapland, near the country’s border with Norway, pictured in the postcard. The country is largely coniferous tiaga forest and fens. 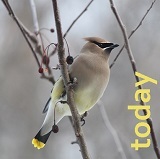 In fact, over 80% of the country is forested! Approximately 1/4 of Finland’s territory lies within the Artic Circle, so during the summer months the sun may set for more than 70 days and may not rise at all for 50 days during winter! I’m not sure I’d enjoy that too much! The national animal of Finland is the Brown Bear, but some other animals that can be seen there are the Gray Wolf, the Wolverine, Reindeer and Elk. What do they eat in Finland? From what I read, they enjoy fish, meat and mushrooms. Because of the wonderful forests, it is the perfect ecosystem for many types of mushrooms. The Finnish people also enjoy wholegrains and berries. Some of the favorites are blueberries, lingonberries, cloudberries and sea buckthorn. Disclaimer: No compensation of any kind has been received from any of the linked websites. No pony from the Blessings farm, no trip to Finland, not even a bowl of Cloudberries! You are currently browsing the archives for the Geography-ish category.